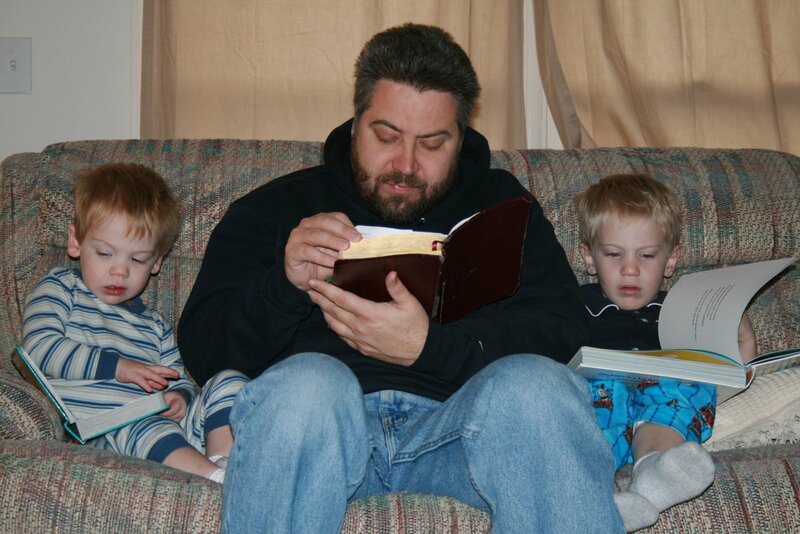 Saturday morning, the boys sat on the couch and read the story of Adam and Eve together, each from their own Bible. Daddy read aloud while Andrew followed along in The Big Picture Story Book Bible. Luke enjoyed looking at the large pictures of Adam and Eve walking through the garden. To celebrate my brother’s birthday, he and his girlfriend drove down from Atlanta to have dinner and dessert with us. Below is my brother, Stuart, and his girlfriend, Autumn. Andrew decided to try to cut Autumn’s hair. He used his medical scissors from his doctor’s kit. Maybe he’s performing brain surgery (not that Autumn needed it!). She was such a good sport. 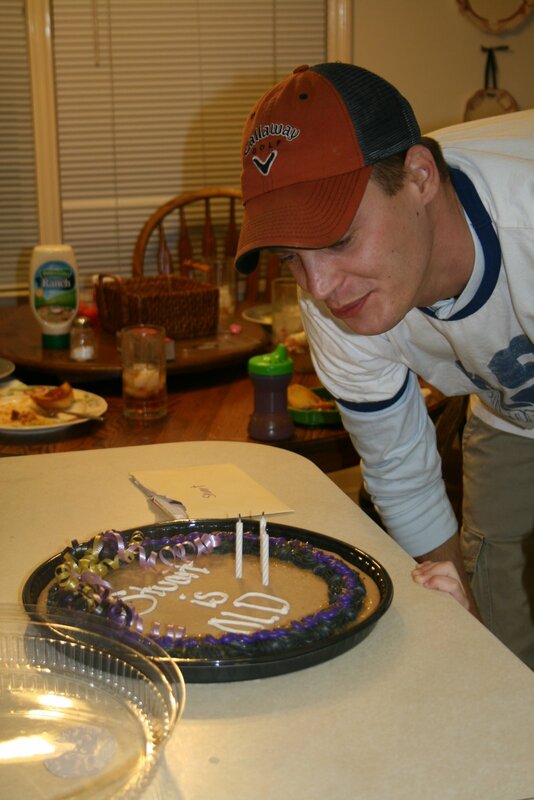 Happy 32nd birthday, little brother. You’re old! that is so sweet, them all reading together like that. oh and thanks again fo referring me to so many people. GOd is blessing me with so many new people. Looking foward to mops next week.